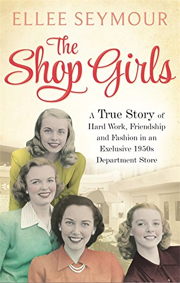 Ellee has been commissioned by the Little Brown Book Group (J. K. Rowling’s publisher) to write a collection of memoirs called The Shop Girls which will be published in September 2014. The book has been announced in The Bookseller and was on the literary hot list of her agents, Diane Bank Associates, when they visited the Frankfurt Book Fair. 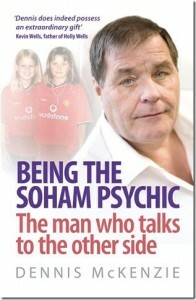 *Ellee’s first book was Being The Soham Psychic, when she was the ghost writer for psychic Dennis McKenzie who hit the headlines after Kevin Wells described in his own book how wonderful he had been during his darkest hours when his daughter Holly Wells and her friend Jessica Chapman went missing and were murdered. It includes many more unbelievable – but true – accounts about his extraordinary life, including how he helps the bereaved families of gangland killings in Limerick, and the terrible paranormal experiences in America when working on the case of a savage serial killer known as B.T.K. because he bound, tortured and killed his innocent victims. It was published by leading publishers Headline, part of the Hodder Stoughton group, in September 2009 and reached No 1 on Amazon for True Crime and Murder. Since then Ellee has assisted an unpublished author with her book proposal in her search for a literary agent and a book deal and arranged the endorsement of one of the UK’s top dress designers Bruce Oldfield to write a foreword for her book on international adoption; his celebrity status is sure to help attract media attention and raise the book’s profile. Ellee is simply brilliant. She is committed, talented and hard working. She does not give up till she has achieved your goal which becomes hers. She is an absolute joy to work with and an outstanding professional. “I came across Ellee after stumbling across a blog post she wrote about Sir Edgar Speyer, the subject of my book, Banker Traitor Scapegoat Spy? The troublesome case of Sir Edgar Speyer. He had captured her imagination, just like mine, and I felt she would be the perfect person to help me promote it. “She created the content for my new website, achieved BBC and ITV news coverage about Sir Edgar’s life, crafted a letter which was published in The Guardian and helped secure a slot for me to speak at Holt Festival in 2014. Ellee’s ghost writing services are also recommended by leading literary agent Diane Banks Associates. I am fascinated by people’s lives and believe everyone has a story inside them. If you would like me to help you put yours into words, whether for mainstream publication, as an e-book, or for your personal use, I would be delighted to hear from you.